You will have to agree with me when I say that a lot of stuff gets broken in your house? Is that right? Of course, it is. Everyone has gone through a stage where stuff on your house just gets broken. Clearly, no one likes that, but you have to fix them. To fix thing you will need a lot of tools, and one of them and maybe the most important one is the heat gun. Okay clearly there are more important tools depending on the situation but heat guns are really important. But why are they so much important? Well, since they can help you with almost everything you use. And using them is really easy and of course dangerous. 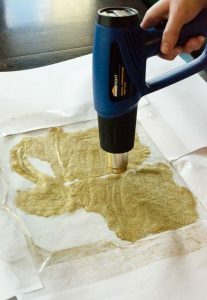 You can read tips about using heat guns here. Heat guns are just like hair blowers, actually, most of them have the same design too and pretty much do the same job. Of course, you can use hair blowers as a mini heat gun, but you never can use a heat gun as a hair blower. Why? Well, even since they are pretty much the same they are used for different things. We all know that hair blower is used to dry your hair. But heat guns have nothing to do with your hair, mostly heat guns are used to shrink things. Remember when I said they do the same job? Well, they both blow hot air. Of course heat guns blow really hot air, usually, heat gun temperature range goes from 300 degrees to 1200 degrees. Now that's the main reason why you should never use heat guns to dry your hair. But not only you should never direct the airflow to your hair, but you also should never direct it to yourself no matter where or to anyone else no matter who. The main reason why I made this website is because I work daily with tools and I use heat guns a lot. In the beginning, it was really hard to get used to heat guns and to work with it. I have destroyed a lot of objects and I know as a newbie a lot of people did it too! So I made this website in order to write my experiences with heat guns, my tips, and I have listed a lot of heat guns where you can buy them. All these heat guns I listed are quality, on the review, I have written I have mentioned all the pros and cons for every tool I listed there. Make sure to read the posts and if you have any question please contact me. Here down below I have listed all the articles I have made for heat guns that includes everything, from tips & tricks to the best reviews. Make sure to read them all and once you are done I promise you that you will not make any rookie mistake and it will save you a lot of money and from a lot of troubles. Heat guns are important tools to have around your house. They are handheld tools that can be very lightweight. Can be used for different tasks. On this article, I showed you the most used overall heat guns. If you want to find a heat gun for a specific task then I recommend you to check our other posts. Most of these tools have a motor inside that heats up very fast. Their temperature range usually goes from 120 to 1200-degrees F. So you have to be really careful while using these tools.